RadioTrade is delighted with the success of our Partner event with Motorola Solutions last week. 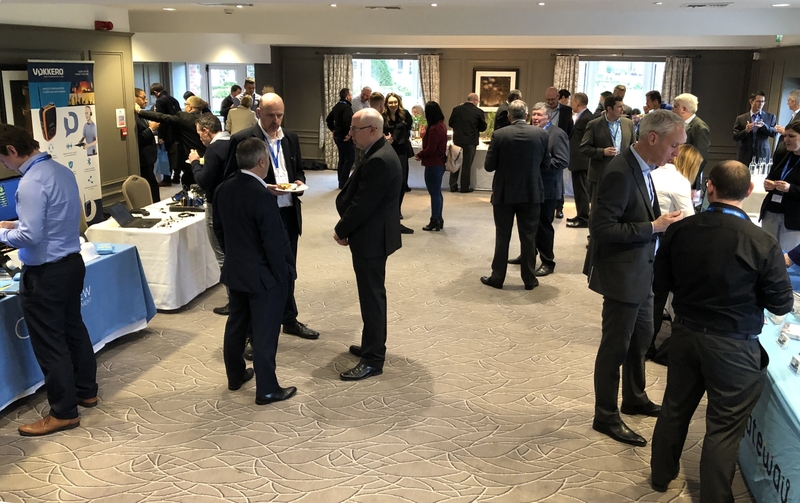 Hosted at the Belfry Hotel, near Birmingham, Registered, Silver and Gold Motorola Solutions Empower Partners were invited to join us to discuss 2018 and look ahead to 2019 together. Craig Calvert, Channel Sales Director for EMEA at Motorola Solutions, gave an update on the wider Motorola Solutions picture, also focused on the 2018 results for the UK, and finally looking ahead to 2019. Peter Bearryman, Dealer Account Manager at RadioTradetook us on the RadioTrade story, presented our excellent 2018 and our asked what can RadioTrade do to help you? If you would like to discuss spending 'A Year with RadioTrade' please get in touch with our Sales Team. 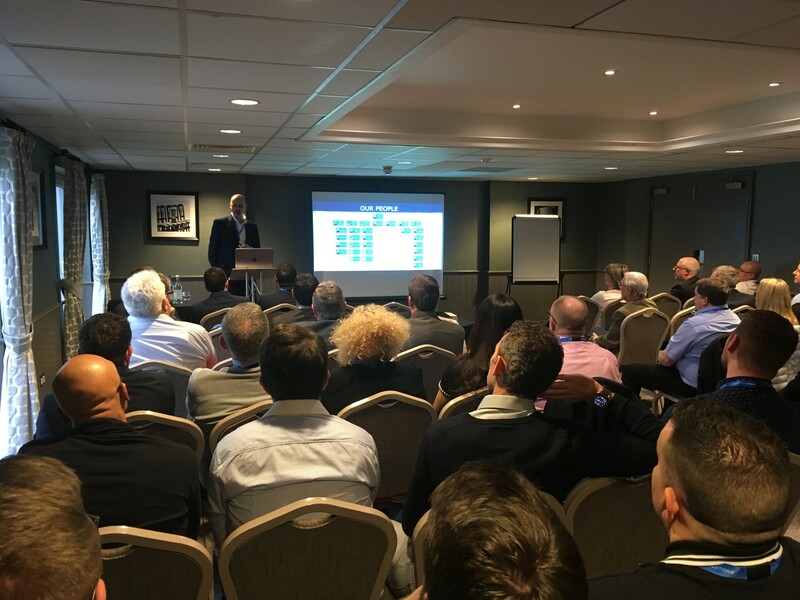 Riccardo Gonzalez, MSSI VP of EMEA Strategy at Motorola Solutions wrote a custom presentation for our event, focusing on the results of 2018 market research within the current UK and Ireland Radio market and how this can inform us and prepare us for 2019. 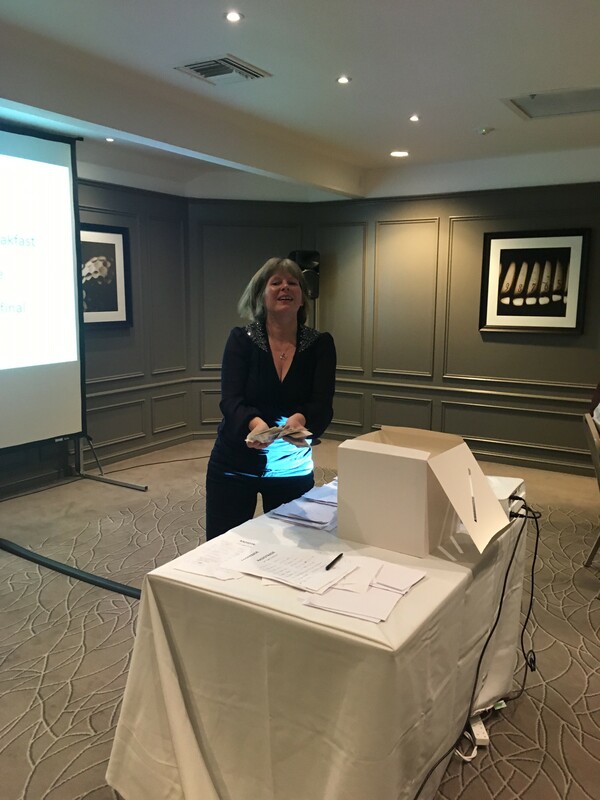 David Picton, our Training Consultant, offered a custom peice on Connections, weaving it through a 2018 business review and presenting key leadership and business strategy ideas for 2019. David will be conducting our 2019 Sales Academy Training days. Please contact us for the full timetable and more information. Tim Clark, Director of Sales in Commercial Markets within Motorola Solutions, presented an overview of the Motorola Solutions Digital Radio Systems, from IP Site Connect through to Capacity Max and Dimetra Express. Finally, Sarah Jenner, Marketing Manager at RadioTrade and Lence Labourg, Channel Marketing Manager at Motorola Solutions presented the Empowering benefits of being a Motorola Solutions and RadioTrade Partner. Key application and accessory Partners of RadioTrade and Motorola Solutions were invited to exhibit at the event, showcasing their fantastic system products including those new to the market and coming soon. GlobalView Systems - Launched their new R-LinX alarm and lone worker modules at the event. For more information on the R-LinX Modules please click here. SMC Group - Showcased their new SMC Gateway, version 2 products that are coming soon to the market. To see the current SMC Gateway product, please see here. Vokkero & Juma - Showed the new Vokkero full duplex Atex portables to the market alongside the Peltor range of accessories for MOTOTRBO. Please contact us at Sales to discuss the Vokkero products. Neocom/TRBOnet - Neocom presented the new TRBOnet One advanced console in addition to discussing thir new product coming soon, TRBOnet Enterprise for Dimetra Express. To learn more about the TRBOnet products please see the TRBOnet Enterprise, PLUS or Watch application pages. Panorama Antennas - Showed us their range of UK crafted antenna products. To see our online range of Panorama products to purchase, please click here. Motorola Solutions - Showed their newest MOTOTRBO Tier III System Capacity Max. RadioTrade - Presented the Mikado modular application products and demonstration kits. For moer on the Mikado products, please click here. RadioTrade wanted to take this opportunity to say a big thank you to all that took part in our raffle for the Sheffield Children's Hospital. Here's to a successful 2019 in partnership!